Jean-François Manzoni is the Shell Chaired Professor of Human Resources and Organisational Development and a Professor of Management Practice at INSEAD. He also directs the INSEAD Global Leadership Centre, which supports INSEAD’s leadership-related coaching, teaching and research activities throughout the world. Professor Manzoni’s research, teaching and consulting activities are focused on leadership, the management of change and the development of high performance organisations. At the organizational level, he studies the content of change (including the use of levers such as strategy, structure and systems), the management of the change process and the role of leaders therein. His work in this area has appeared in a number of articles and books, including Process Re-engineering, Organizational Change and Performance Improvement (McGraw Hill, with Soumitra Dutta) and Performance Measurement and Management Control: Advancing Global Practice (co-edited with Marc J. Epstein and Antonio Davila, Emerald, 2012). He has written over 30 cases, four of which received Case of the Year Awards from the European Foundation for Management Development or the European Case Clearing House. He also acted as content expert in the development of a groundbreaking computer-based change management simulation, the Change Pro Simulation®. At the individual level, Professor Manzoni studies how leaders can create a high performance work environment and what they can do to modify their leadership style in that direction. This stream of research has led to several articles and a book entitled The Set-Up To Fail Syndrome: How good managers cause great people to fail (Harvard Business School Press, with Jean-Louis Barsoux). This book, which built on Manzoni’s and Barsoux’s initial Harvard Business Review article introducing the term “set-up-to-fail syndrome”, received two Book of the Year awards and is being discussed in undergraduate, MBA and executive development programmes all over the world. Recent research examining the impact of interpersonal dynamics on increasingly diverse Boards of Directors just received the 2011 Research Award on Leadership & Corporate Governance from the Association of Executive Search Consultants. A new book tentatively entitled Getting Relationships Right: Overcoming Labels, Biases and Misperceptions at Work is in progress. A citizen of Canada and France, Professor Manzoni received his Doctorate from Harvard Business School. He had earlier graduated from l’Ecole des Hautes Etudes Commerciales de Montréal and worked with Ernst and Young in Montreal before receiving an M.B.A. from McGill University. 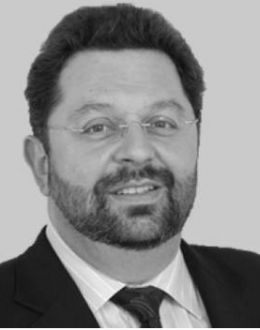 Prior to (re)joining INSEAD in January 2011, he spent six years at IMD (Lausanne), where he served as Professor of Leadership and Organisational Development and directed, among other programmes, IMD’s Breakthrough Programme for Senior Executives. Prior to that he had spent twelve years on the faculty of INSEAD, where he founded and directed the PwC Research Initiative on High Performance Organisations (funded by a €5 million grant from PriceWaterhouseCoopers, at the time the largest corporate donation ever received by the school). The recipient of several awards for excellence in teaching, Professor Manzoni is a frequent keynote speaker at conferences on leadership and change. He also performs consulting, training and coaching work for several large international organizations, which has led him to work in more than thirty countries over the years. He currently lives in Singapore with his wife Anne and two teenage sons, while two older sons continue their studies in Europe.